The Parish was established and incorporated in 1953 with the purchase of 3 lots. The years after World War II were a time of massive immigration to Canada from Europe. A great many of those immigrants settled in Southern Alberta in the late 1940’s, and among them were large numbers of Ukrainian immigrants. They were mainly agricultural workers who were specially brought in to work on sugar beet farms. After completing their contracts of one year, many moved to Lethbridge in search of work and community. These Ukrainians in a large part, joined St. Peter & Paul Greek Catholic Parish. The parish priest at that time, Fr. Andrew Choronzy, gladly accepted them to his parish. Already in 1949 approximately 70 to 80 families were ready to start their own parish under the leadership of Fr. Dmytro Hnat. The first Parish council members were: Stephen Iwaskiw (president), Antin Sorokiwskyj (vice-president), Jerry Iwanusiw (secretary), Fred Dmyterko (treasurer), Cornelius Wreciona (Committee member), Natalie Danyliw, Bill Hutor and Walter Yakymiw (auditors). A church building was established by Fr. Stephen Chekhovsky in 1953. A brick church with the rectory attached was built in 1954. St. Volodymyr had a resident priest from the beginnings until 1980, and from that time there is one Ukrainian Catholic priest serving the two Parishes: Sts. Peter and Paul and St. Volodymyr. For many years they have preserved the Julian calendar and at the turn of the century changed to the Gregorian calendar. 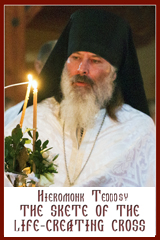 Today the Sunday liturgies are in Ukrainian with the sermons in English and Ukrainian. There are approximately 22 families in the parish. In the fall of 2003 the Parish celebrated its 50 th anniversary with Bishop Lawrence Huculak and many faithful present. Pastors of the Parish: Fr. 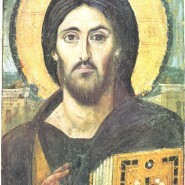 Dmytro Hnat (1953-1955), Fr. Richard Zuback (1955), Fr. Nicholas Diadio (1956-1959), Fr. Lubomyr Syvenky (1959-1980), Fr. Paul Lysak (1980-1985), Fr. Andrew Muzyka (1985-1989), Fr. Richard Zuback (1989-1992), Fr. Paul Lysak (1992-1998), Fr. Mark Bayrock (1999-2008), Fr. Gary Sedgwick (2008- ).